Discover how you can use the web to help make a positive difference in 2015 with these Top 10 sites. 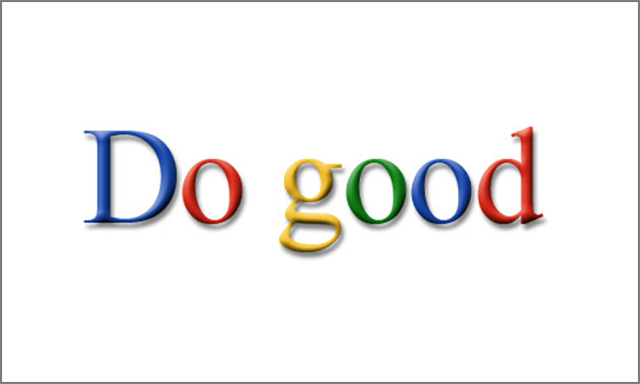 The web has given individuals an increased ability to make a positive social change in the world. Many technology companies take a socially-conscious approach to their businesses, and there are plenty of platforms that are conducive to charitable giving. With the ability to spread their respective messages around the globe, charity organizations have benefited from reaching people through websites and mobile apps. 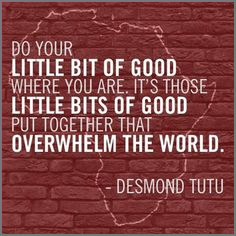 There’s no better time than now, 2015, to do something good. It can be tough to remember that ‘doing good’ doesn’t always involve donating money. Even educating yourself about the state of the global economy (which you can do on We The Economy) or learning the importance of the hashtag #SaveElephants (which you can do at The Nature Conservancy) is beneficial for society. Of course, this list also includes plenty of sites in which you can spend your money. But rest assured that your donation will be put to good use. We’ve included sites like Zidisha, which is helping lead the global P2P microlending movement. Sites like Experiment are using crowdsourcing techniques to further scientific research. Good St. lets you make an impact with just 25 cents a day. You can learn more about all of those sites, as well as the others that we’ve found to be positive and beneficial, in our top 10 list below. No matter your personal passions and causes, hopefully this list can help you find some inspiration to Do Good in 2015. Mother’s Day 2015 is quickly approaching, but there’s never a bad time to start thinking about the important role mothers play in the lives of children around the world. Every Mother Counts is a maternal health organization that helps mothers access health care by reducing transportation, education and supply barriers that restrict them in developing countries. The site contains a wealth of information about this particular problem, such as the fact that one woman dies every two minutes from pregnancy complications despite 98% of these deaths being preventable. In addition to the important information Every Mother Counts offers, it also contains a shop where you can buy products to help the organization, as well as information about how to join a charitable run for the group. Zidisha is a P2P micro-lending site that lets investors directly communicate with entrepreneur borrowers located throughout the world. The site offers one of the more unique ways to do good, as you donate directly to an individual rather than to a charity or institution. 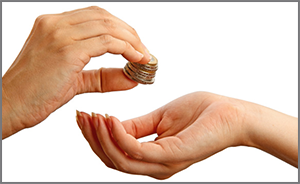 The borrowers receive the money from you and repay you in regular installments. There are all sorts of people seeking funding on Zidisha, along with their specific needs as well as their repayment history. Microlending is an easy to way to make a large impact in communities around the globe, and Zidisha is one of the best platforms that makes that possible. We The Economy is one of the sites on this list that allows you to do good without donating any money. The site contains 20 short films that explore economic topics in a fun and engaging manner. Watching them would do some good for yourself, as economic education is becoming increasingly important. All of the films on We The Economy are short and free to watch, so you can learn something without putting in too much effort. They also feature Morgan Spurlock and some other well known actors, so you know there’s a healthy amount of humor dispersed throughout the films. Your Voice is a non-profit organization created by Whisper that gives individuals a platform to discuss mental health issues. Anyone can create a video on Your Voice, sharing your story about the issues you’re dealing with or have already overcome. There’s a large list of videos hosted on the site, and you can also browse through the stories uploaded by other users. 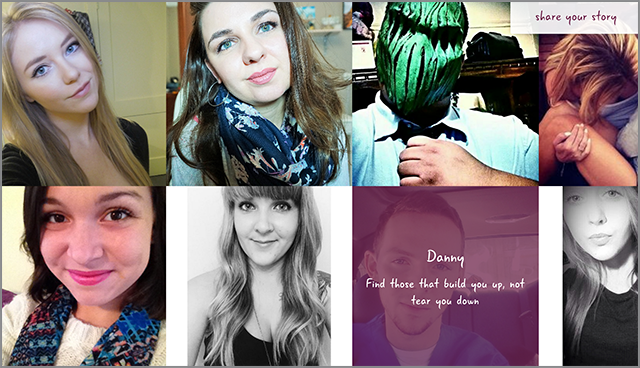 The site has taken an important step towards ending the stigma associated with mental illness, and it’s powerful to see so many faces sharing such honest stories. Whether you join the movement or simply express your support, Your Voice is worth visiting. From the site’s name to its slogan — “Good People. Doing Good Things. Every Single Day.” — it’d be wrong not to include Good St. on this top 10 list. 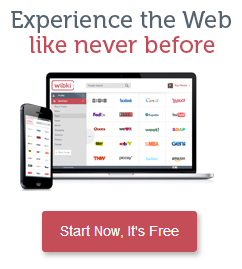 The site has revolutionized charitable donation, allowing its users to donate just 25 cents a day. That donation adds up over time, and it’s even more powerful when thousands of Good St. users are making a contribution on a regular basis. The site sends an email each day with two charities that address a particular cause, and you can choose which you want to support. It’s that easy. And that good. You may have heard term “Lean In” mentioned recently, and that stems from Faacebook COO Sheryl Sandberg’s nonprofit organization and book by the same name. The organization was founded as a way to empower women to achieve their own ambitions. The site fosters a community of supportive, ambitious women both online and in real life “circles.” There’s also a large resource of online lectures involving leadership and communication skills. 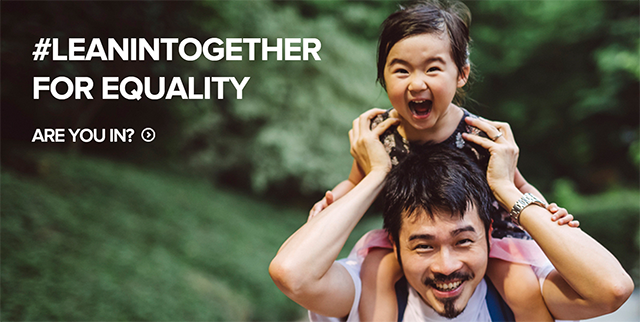 Both men and women can get involved with Lean In, so it’s one of the best ways you could start doing good in 2015. 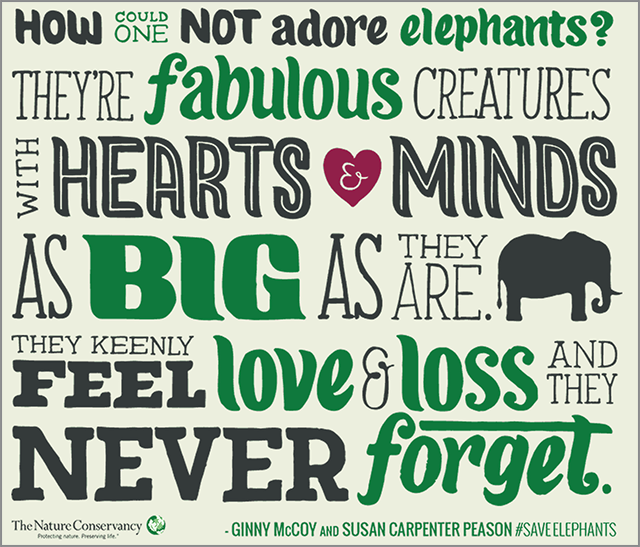 The Nature Conservancy has created a website that reminds us how imperative is that we work to #SaveElephants. The website details the unfortunate truths about the ivory trade, and how elephants are being hunted throughout Africa. The site also explains how the organization is getting involved, by increasing security against poachers and securing the animals’ habitats. It also calls for your help to get involved, by spreading the message on social media or signing up for the Nature Conservancy email list. It’s a well-designed and informative site, so it’s worth visiting in order to learn more about the important cause it represents. Playalong is a game created by Collaborative Fund and Sesame Workshop, the nonprofit educational organization associated with Sesame Street. 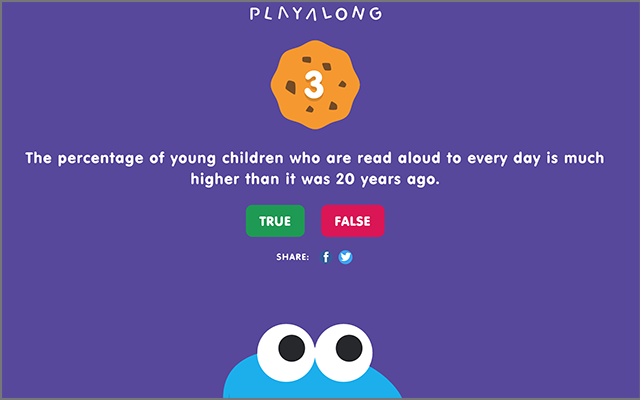 You’ll recognize Cookie Monster on the site’s homepage, who adds to the cookie tally above his head every time you answer a true or false question correctly. Every time you get a question right, the site also donates 1 cent to the Sesame Workshop. That makes it similar to games like Free Rice, where you can raise money for a good cause while having fun and learning something. The #ITouchMyselfProject is a tribute to Chrissy Amphlett, who died in 2013 after a battle with breast cancer. The site features Australian female artists singing Amplett’s famous song “I Touch Myself,” reimagining it as an anthem for breast cancer awareness. It’s a powerful video and an informative site. It’s also an important reminder that you should do good for yourself as well by monitoring yourself for breast cancer on a regular basis. Experiment is one of the most innovative sites on this list. 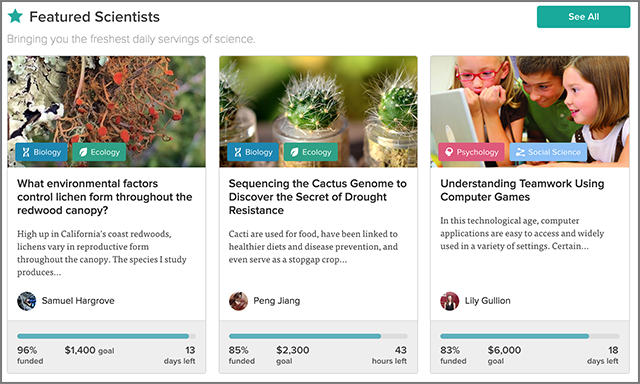 It’s a crowdfunding platform, but it helps scientists raise money for groundbreaking research. Similar to sites like Kickstarter or Indiegogo, Experiment lets people create and market projects in the hopes of securing funding. The projects on Experiment are all, naturally, scientific experiments that need financial backing in order to be carried out. It’s an interesting way of reimagining how scientific progress can be achieved in the 21st century, and it offers a unique opportunity for you to get involved in projects that could ultimately do good for all of humanity. I search and found it. Experience the Web like never before @ Wibki Copyright © 2019 Wibki – Unlock the Web. All rights Reserved.